If you understand ITIL, you know the concepts make sense. Of course you want to do a better job servicing the business as an IT organization – reduce redundancy, eliminate waste, and help corporate goals. 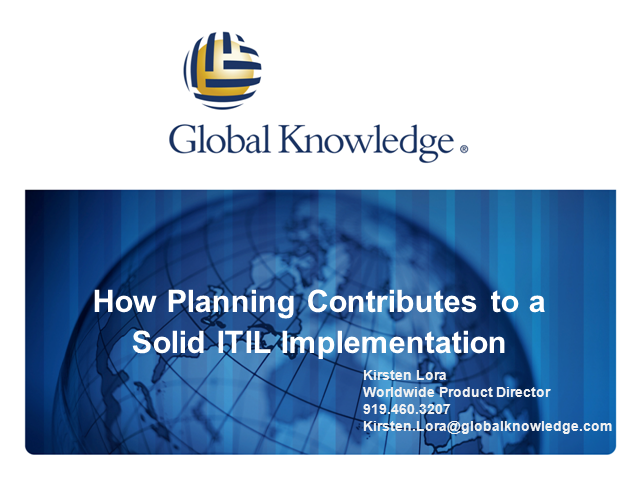 Now, how do you start an ITIL implementation? Successful implementations are programs that take 1-3 years to complete. In this session learn project planning techniques to master your ITIL implementation.